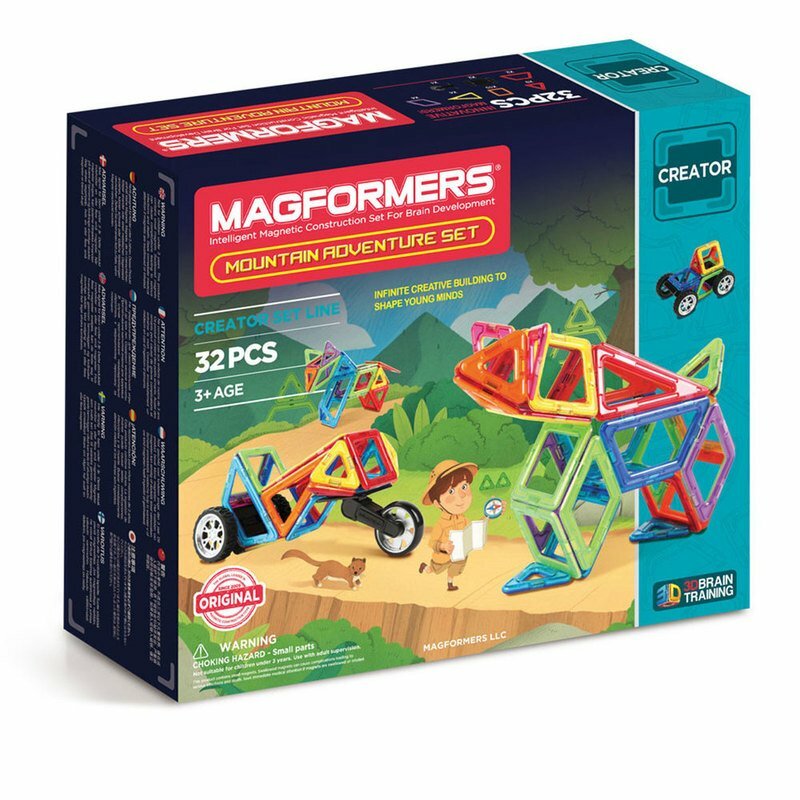 Journey across the Rockies with the Magformers Adventure Mountain 32Pc Set. Discover Mountain animals as you create bears, wolves and tigers. Go off-road as you as add new Mountain wheels to create SUVs. Transform your vehicles to tricycles as you add new bike wheel accessories, the building possibilities are endless. Containing 5 different geometric shapes in Rainbow colors. When playtime is over, use the magnetic power to simply stack and store. New Off-Road Wheels and Bike.